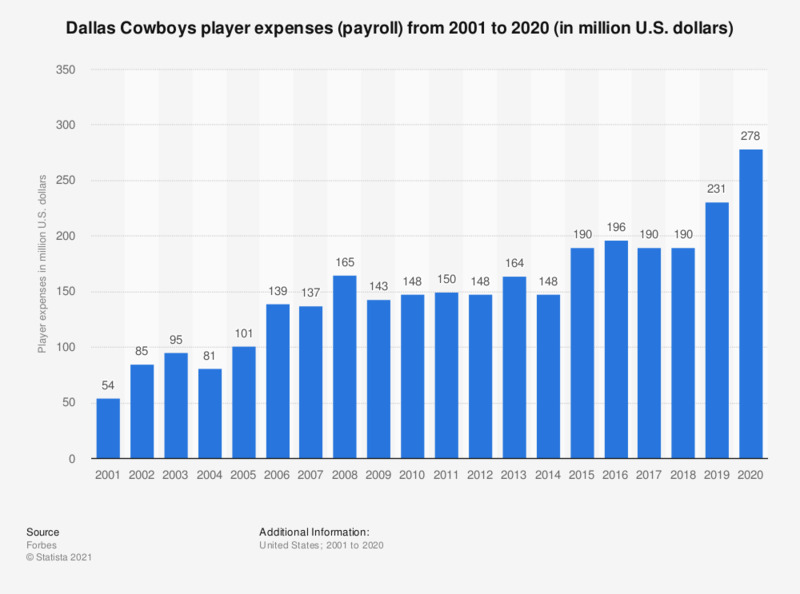 The statistic depicts the player expenses of the Dallas Cowboys, franchise of the National Football League, from 2001 to 2017. In the 2017 season, the player expenses of the Dallas Cowboys were at 190 million U.S. dollars. Everything On "Dallas Cowboys" in One Document: Edited and Divided into Handy Chapters. Including Detailed References. Women: Which device is your favorite for consuming online information and content on the topic of parenting?